Want the help of a high quality Tree Surgeon in Southfields? GraftinGardeners have expert tree surgeons in SW18, London and surrounding areas. GraftinGardeners is a family run tree surgery business operating in Southfields and surrounding areas. We provide the highest standards of work and are very competitive when it comes to pricing. 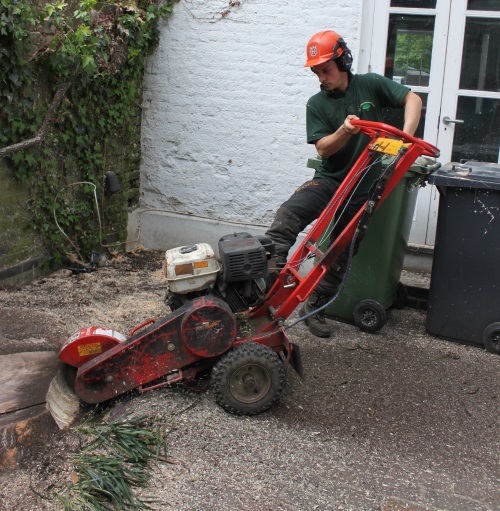 Our main tree surgery services include: tree felling, tree pruning and tree stump removal but we can do just about anything tree and garden wise. If you require tree surgery in SW18, we can help; call us today for more information. Our skilled tree surgeons can remove dangerous trees from your property with ease. We have experts that can perform tree felling operations safely with minimal disruption. Our experience is second to none and we always get the job done on time. Call us now for a free quote. GraftinGardeners have skilled tree surgeons and can cut, prune and shape any size tree. Before any pruning is carried out, we take all things into consideration: from tree species to shape, size and condition. We don’t leave anything out and always leave your trees in a safe and pristine condition. Awkwardly situated tree stump getting in your way? No problem! Our tree surgeons are fully equipped to deal with all types of tree work. We can use our stump grinder to break out annoying tree stumps and leave you with a level surface after. If you have an emergency on your hands we can help. Our arborists are experts at dealing with emergencies, we can remove storm damaged or dangerous trees fast, so you can get on with your busy life. We will come and remove any fallen trees and clear all the mess up after. Our emergency tree service is open 24 hours a day 365 days a year.